Passover will be here in just a couple of days. And with Passover comes the wonderful Passover Seder. And, even though we know how fantastic Passover Seder is…. we know how difficult it is to get the kids to sit still and enjoy the Passover Seder. Well, how about if they help out with the Seder? 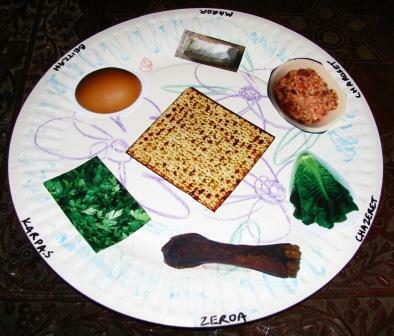 The kids can make the Seder Plate for Passover. Even if it isn’t the main Seder Plate you use for the Seder they can at least work on the Children’s table Passover Seder Plate. 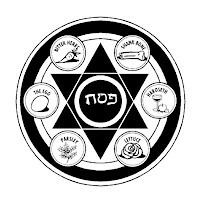 Beings that the children helped make the Passover Seder Plate will hold their attention a little more as they will want to pay attention to see how it will be used during the Seder. 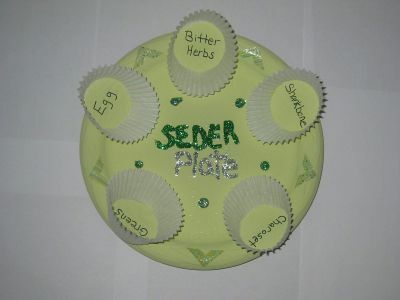 So, scroll through the many Passover Seder Plates crafts below…. you are sure to find the one that works for you and your children. Have a Happy Passover. I found this awesome Seder Plate over at Kaboose. Here they keep the color green to remind you of spring and all the good times ahead. What a clever idea!! Nick Jr. has this Seder Plate Craft all figured out. They use 6 six inch paper plates to create the Passover Seder Plate…. not to mention a Star of David Coloring Page. 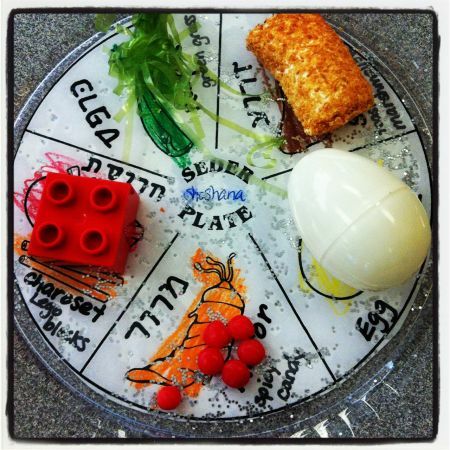 Put it all together to create this awesome Passover Seder Plate. If you are looking for a super easy Passover Seder Plate Craft then this is the one for you. 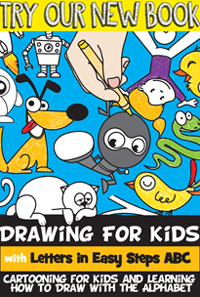 Free Kids Crafts gives you this craft that is simply a printable…. print off and cut. Doesn’t get much easier than that. 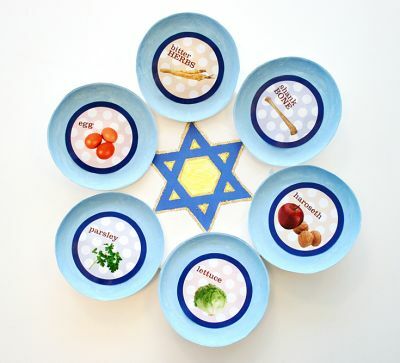 Isn’t this a beautiful Passover Seder Plate? I love the use of bright colors. Nothing keeps the attention of the little ones more than bright colors. Parent Dish shows you step-by-step how to make this Seder Plate. Family Fun uses an ovenproof plate and glaze paint to prepare their Passover Seder Plate. They have the right idea as once baked this item is quite durable. 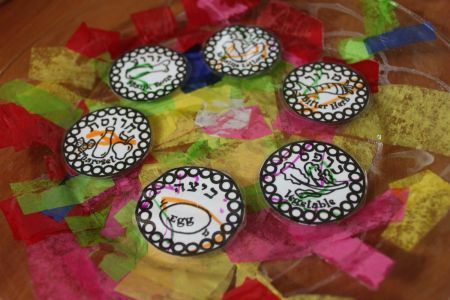 These Seder Plates become special to the child as they will be painting them themselves. 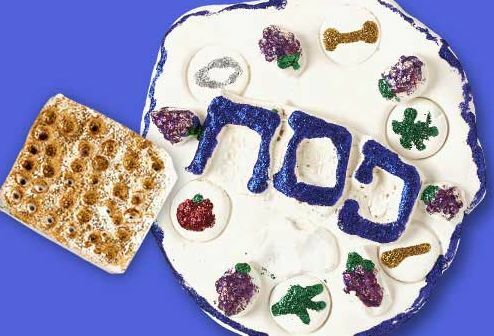 Crayola has an original spin on the traditional Passover Seder Plate. Their craft is constructed from Model Clay. Check out their site to get the full details and make this Passover Seder Plate yourself. This is a beautiful Passover Seder Plate. In case you can’t see it, there are lovely stones all around the outside of this plate. 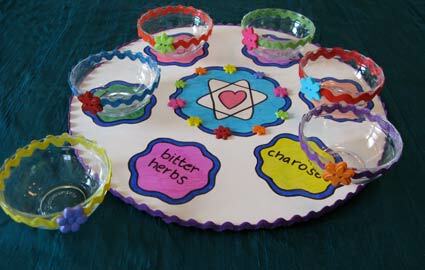 My Activity Maker shows you how you too can make this beautiful Passover Seder Plate. If you are looking for an easy Passover Seder Plate than this is the craft for you. Made from a Paper Plate and pictures of the Ceremonial Food this craft doesn’t get any easier. Check out Joyful Jewish to see how to do this craft. Here is a fun craft to do with the youngest of kids for Passover. 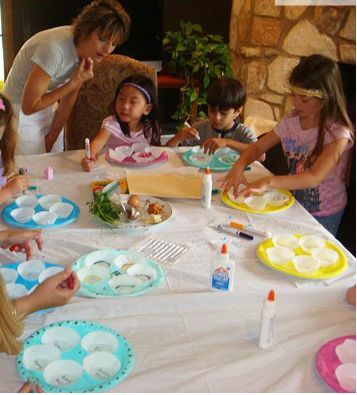 Kids love to work with tissue paper and this Passover Seder Plate Craft has plenty of tissue paper. Check out Delicate Construction for the full details of the craft. Yes, you read this right…. this craft was made with Denture Cream. Holidash used Denture Cream to hold the dishes to the Seder Plate. Check out the full details on their site… you will have to scroll to the 2nd slide. 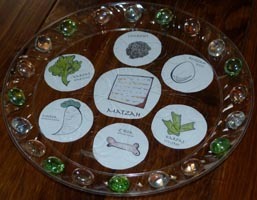 I found this Passover Seder Craft over at Maybe Sew. She has the right idea on how to teach the kids a little bit about each of the foods on the Seder Plate…. she uses different items other than the norm and has the kids guess what they should be. Check out the site for the full details.